Netflix has released a trailer for Martin Scorsese's gangster film The Irishman. The streaming service dropped the surprise teaser during the Oscars 2019 broadcast. 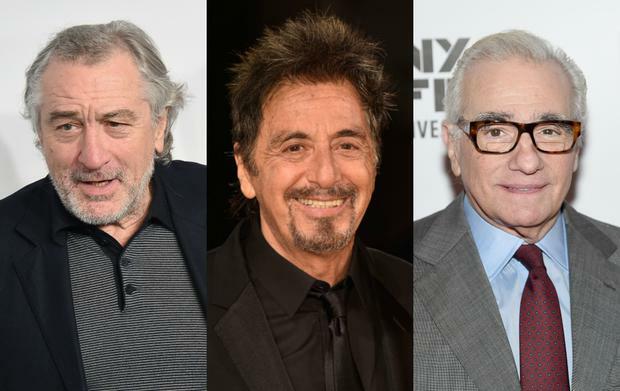 It'll be Scorsese's first film since 2017 drama Silence and will unite actors Robert De Niro, Al Pacino and Joe Pesci. It's also been confirmed that the film will be released this Autumn, corroborating actor Sebastian Maniscalco's comments that it'll bow in October. The film will be Scorsese’s most expensive project to date as lots of CGI was required to make the 75-year-old De Niro look like a 30-year-old for scenes set in 1959. Production began on the filmmaker’s long-gestating mob drama in 2016 with lucrative rights picked up at Cannes Film Festival. Netflix later acquired worldwide rights to the film for a reported $105m setting a budget of $125m. Based on Charles Brandt’s book I Heard You Paint Houses, The Irishman marks the ninth collaboration between De Niro and Scorsese.